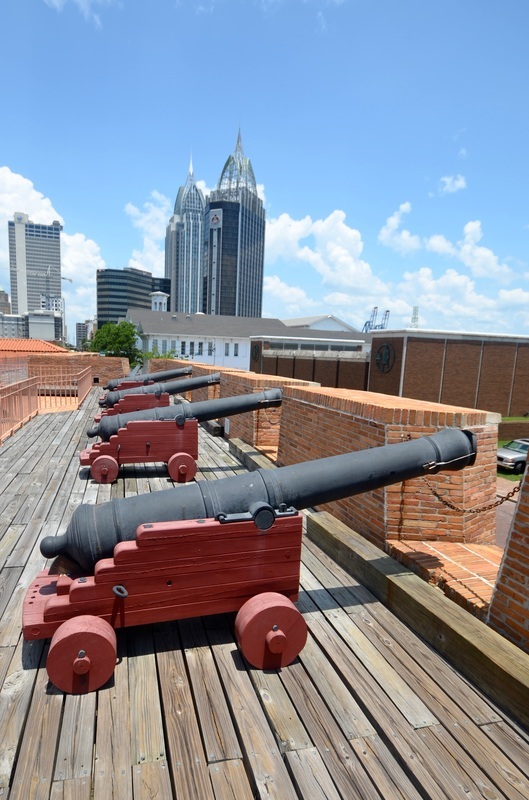 July 15, 2014 - From the cannons mounted on the roof of Fort Conde, now surrounded by modern high-rise buildings in downtown Mobile, Alabama, it's hard to envision the time when it was under siege by Spanish and Latin American troops. But it's even harder for many Americans to understand that those Latinos were keeping the British from George Washington's flanks and helping him win the American Revolution. American history has a way of whitewashing the contributions made by Latinos even for more than two centuries before the American Revolution. But for those who never saw this part of our Hispanic history in their American school textbooks, inside the Fort Conde Museum, there is an impressive scale model that illustrates the magnitude of the Hispanic fight for America's independence. 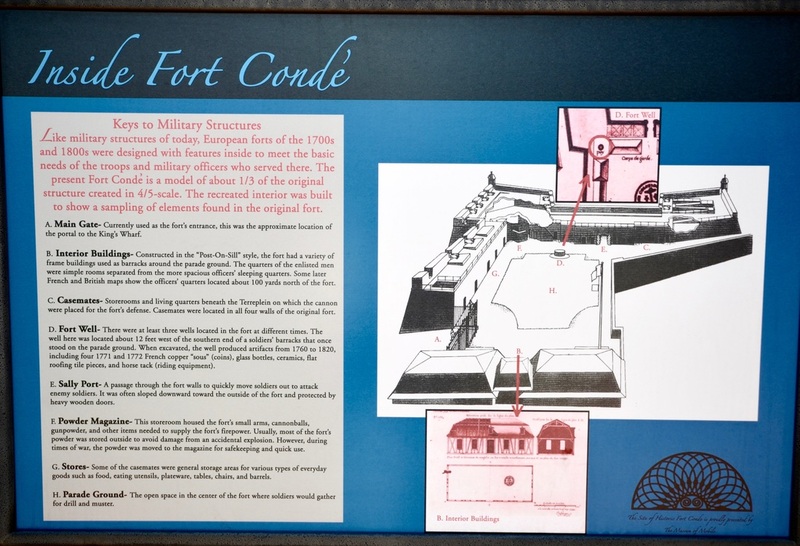 Some background: The present Fort Conde is a model of about one-third of the original structure, which was built by the French in the 1720s and named Fort Conde in honor of King Louis XIV's brother. 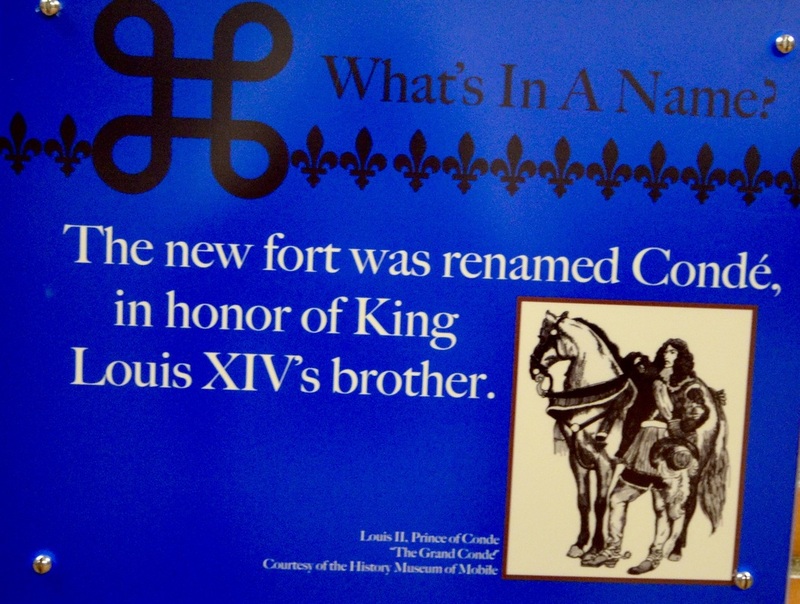 The stronghold was renamed Fort Charlotte when France lost all its possession in North America at the end of the Seven Years' War in 1763. The former La Louisiane became part of British West Florida, which then stretched from Apalachicola to the Mississippi River. 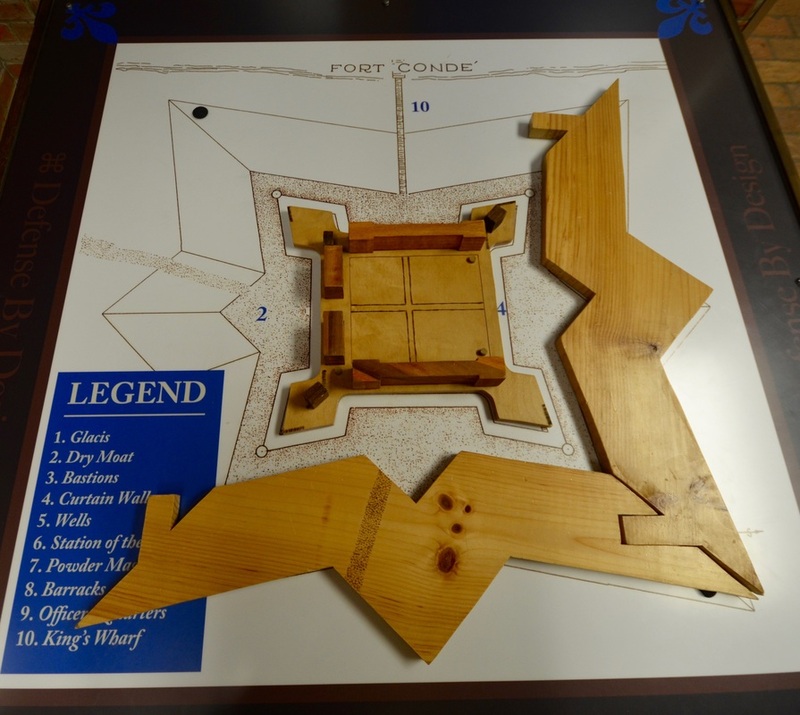 The British flag flew over the fort for the following 17 years, and the scale model in today's Fort Conde illustrates the battle that brought it down. 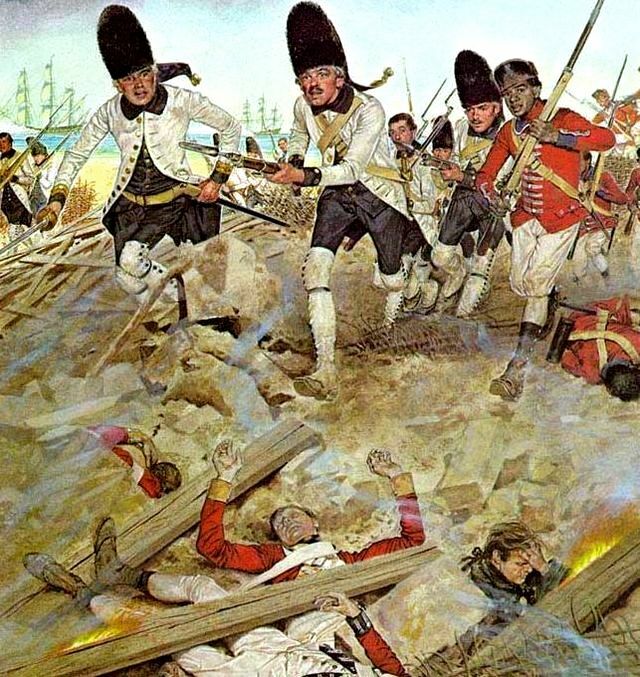 In it there are some 1,000 mostly Latino troops surrounding the British fort. "British Colonial period on the Gulf Coast ended in spectacular fashion during the American Revolution," the exhibit explains. "In March 1780, Don Bernardo de Galvez, the Spanish governor of Louisiana, led more than a thousand troops to Mobile and laid siege to Fort Charlotte ... For 14 long days, Spanish guns battered the old fort. Faced with the complete destruction of his ragtag army of 300 men, including armed slaves and volunteers from the town, Captain Elias Dumford surrendered Fort Charlotte." 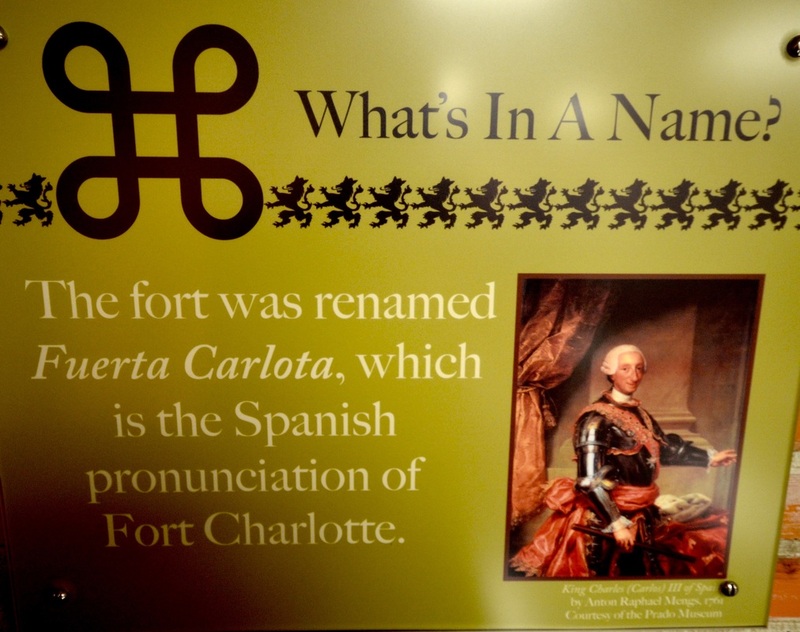 Under Spanish rule, the former Fort Conde and Fort Charlotte became Fort Carlota. 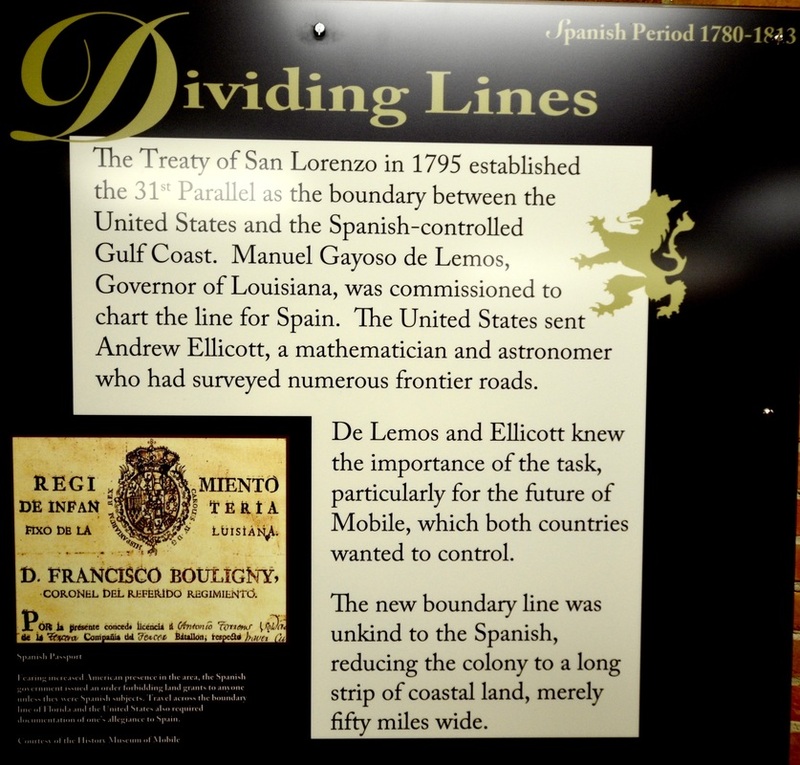 "Galvez continued eastward toward Pensacola," the exhibit adds. "Soon all of British West Florida was under Spanish control." 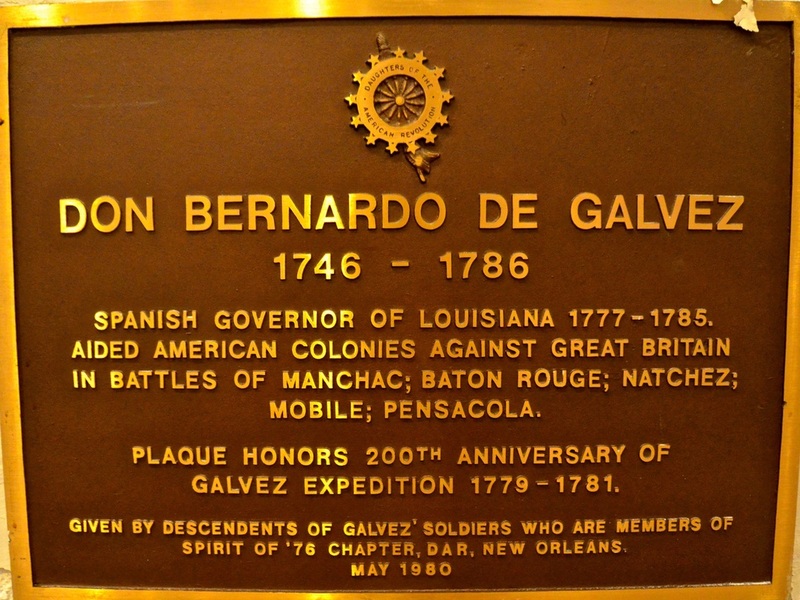 In Pensacola, where Galvez led some 3,000 men and 32 battleships and won his most decisive battle against the British, his contributions to the success of the American Revolution are properly recognized at both the prestigious T.T. Wentworth, Jr. Florida State Museum and Fort George Memorial Park — as noted in this column two weeks ago. But my Great Hispanic American History Tour was headed westbound and the next stop was New Orleans, where numerous victories by Galvez's troops along the Mississippi River and the Gulf Coast "contributed greatly to securing independence for the United States," according an exhibit at The Cabildo, the Spanish government building erected in the latter part of the 18th century and still one of the centerpieces of the downtown French Quarter. 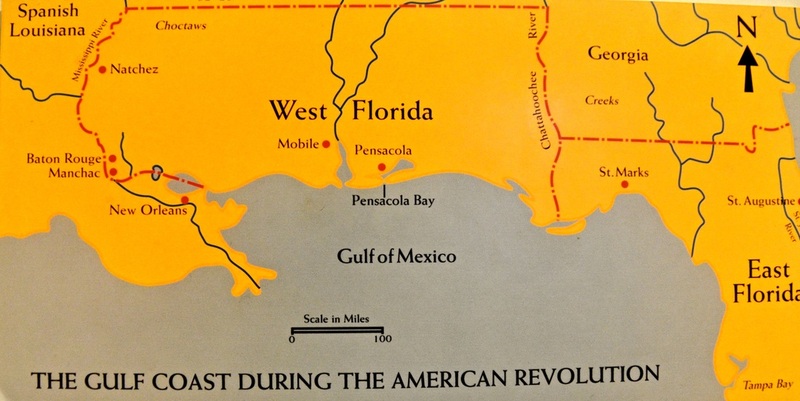 The exhibit explains, "Spain benefited, too, acquiring West Florida and reclaiming East Florida from the British according to the Treaty of Paris, which ended the American Revolution in 1783." Drafted with Galvez's input, this is the treaty that set up the boundaries for today's State of Florida, sold by Spain to the United States in 1821. 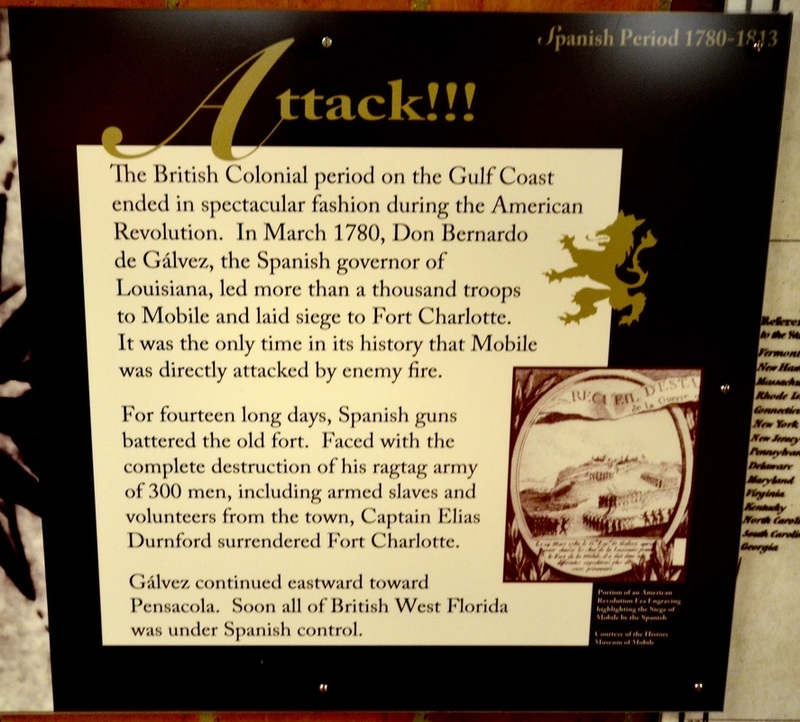 The Cabildo exhibit also notes that while the Spanish troops were heavily outnumbered by the British in all the Gulf Coast battles, "Spain, however, had to go on the offensive against well-defended British strongholds." But who were these men fighting with Galvez? 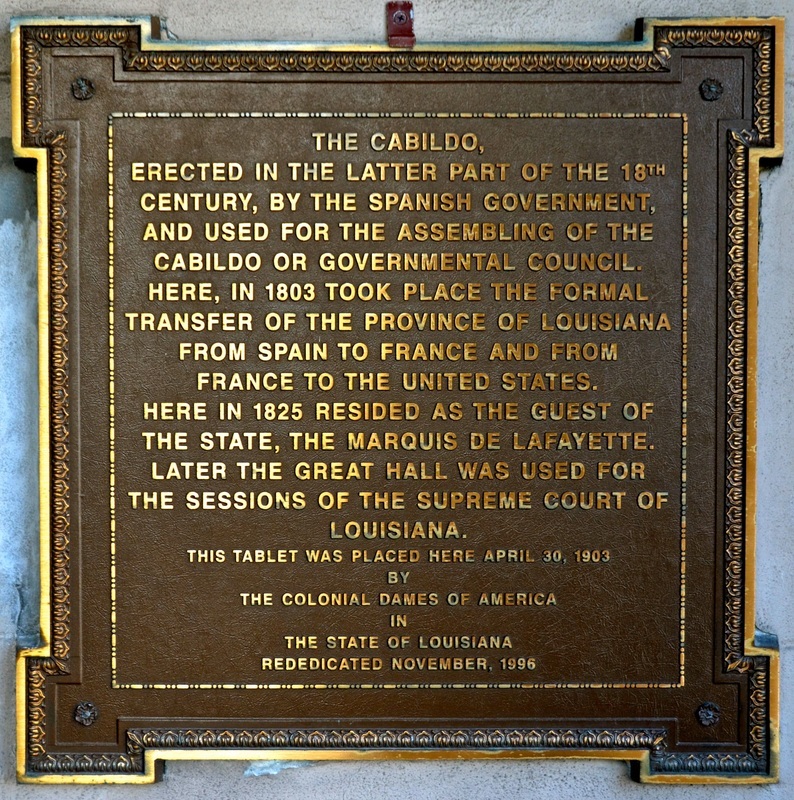 The Cabildo exhibit notes that they were "troops from Louisiana, Cuba, Mexico, and other Spanish colonies; white militia comprised of Germans, Acadians, Canary Islanders, Frenchmen, and Spaniards; free black militia; black slaves; and Native Americans." 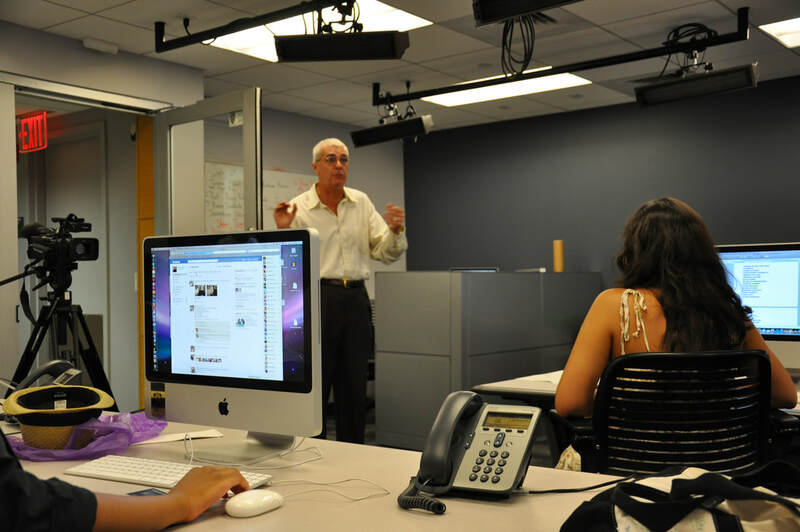 In fact, the large majority were Cubans, Puerto Ricans, Venezuelans and Mexicans who — from here — inspired freedom movements throughout the Americas. Most people don't know that even before Latinos fought for their own homelands' independence from Spain, they fought with Spain against Britain in the American Revolution and that it was the American Revolution that ignited Latin America's quest for independence. One of the names that stands out is that of Juan Manuel de Cagigal y Monserrat, who was born in Cuba, became second-in-command to Galvez during the entire Gulf War against the British and was reportedly "the first to storm the breach at the walls of Pensacola." As Cuba's first criollo captain general and governor of La Habana, Cagigal also helped to organize a massive fundraising campaign among Cuba's social elite. It was Cagigal who had received a plea for help in a letter from French admiral Francois Joseph Paul de Grasse on behalf of the American insurgents, and it was he who mobilized the so-called Ladies of Havana to give up their jewelry and raised enough funds to give George Washington's troops the margin of victory at Yorktown, according to some historians. They say the late injection of funds from Cuba allowed Washington to equip thousands of additional troops and go on to win the decisive battle of the Revolution. They say the Spanish silver dollars Washington received from Cuba — the equivalent of $28 million in today's money — "must be considered as the ground whereon was erected the American independence." Bottom line: Our Latino ancestors financed and fought for American independence and we, too, are the sons and daughters of the American Revolution. Aside from defeating the British all along the Gulf Coast and, in effect, eliminating the possibility that Washington's troops could be attacked from the rear, aside from allowing Washington to concentrate only on the war's eastern front, Galvez also had been sending weapons, medicine, uniforms and other goods to Washington's army. They went up the Mississippi River and Ohio River, across Pennsylvania and on to Washington's needy troops — some $70,000 in goods in 1777, according to one estimate. Unbeknown to most Americans, Washington invited Galvez to march with him in the great victory parade of July 4, 1783. The Continental Congress also recognized his great achievements. Curiously, as my Great Hispanic American History Tour covers Galvez territory, Congress is considering a bipartisan resolution that would grant him honorary U.S. citizenship posthumously. • because "he helped draft the terms of treaty that ended the Revolutionary War"; and because he "helped secure the independence of the United States." Is that enough? Yet some media cynics already are charging that while Congress can't seem to pass any form of real immigration reform, it is creating "a path to citizenship" for a man who died more than two centuries ago. It shows their ignorance. Frankly, I can't think of anyone who deserves it more. Of course, Galvez became the eponym of Galveston, Texas, and since my Great Hispanic American History Tour is heading in that direction, we'll have to make a stop at the grand Galvez Hotel. But before we get there, in next week's column, the tour requires more time in New Orleans — can you blame me? 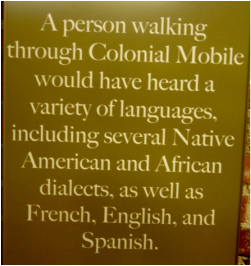 — because even the French Quarter is packed with Hispanic heritage. 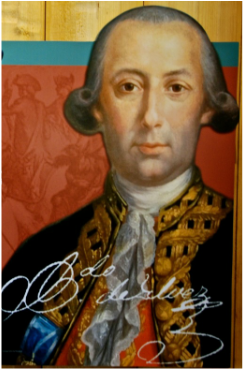 UPDATE: Five months after this column was published, on December 16, 2014, President Barack Obama signed the joint resolution of the U.S. Congress conferring honorary citizenship of the United Sates to the Spanish citizen, Bernardo de Gálvez. The resolution notes that honorary citizenship “is and should always be an extraordinary honor not lightly conferred nor frequently granted.” Only six other people have received this honor. Bernardo de Galvez statue in Washington, D.C.